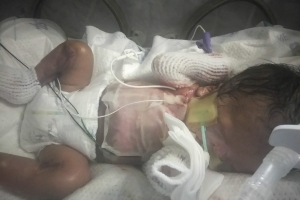 SAN ANTONIO (WBAP/KLIF News) – Supporters are rallying around the parents of a baby boy born with a rare condition that leaves him without skin. Ja’Bari Gray was born via C-section January 1 at San Antonio hospital and was transferred to Texas Children’s Hospital in Houston on Friday. According to a statement from his parent’s on their GoFundMe page, he weighed only three pounds at birth and his eyes were fused shut. It will require surgery to open them. He only has skin on his head and some on his legs. The Associated Press reports specialists have tentatively diagnosed Ja’Bari with Epidermolysis bullosa, an extremely rare genetic connective tissue disorder that makes skin very fragile and causes it to blister and tear even from minor friction. The parents, Priscilla Moldonado and her husband Marvin Gray, are undergoing genetic tests to confirm the diagnosis. The couple said they’re thankful for the support and ask that people keep Ja’Bari in their prayers. “Each day is a blessing and he is still fighting to live on this Earth,” the couple said. So far, the GoFundMe campaign has raised more than $35,000 of its $50,000 goal. Copyright 2019. 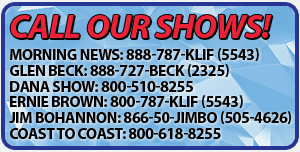 WBAP/KLIF News. All Rights Reserved. Associated Press contributed to this report.